A while back I had the pleasure of visiting Butcher & Larder here in Chicago. 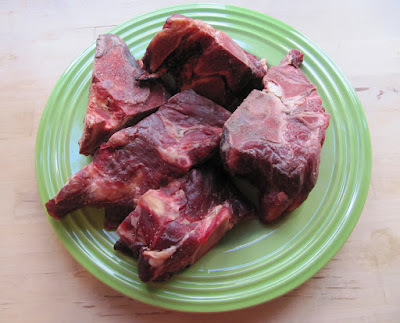 There were a huge variety of meats and goodies but something that stood out to me were these beautiful beef neck bones that I spotted in the front case. I never really worked with them, but I knew I could put something together with them. What instantly came to mind was birria. I knew the flavors involved would work well with the beef and the neck bones would provide more than enough flavor to create a delicious broth. To begin I marinated the beef neck bones in a sauce I made with vinegar, ancho chile, guajillo chile, bay leaves, Mexican oregano, cloves, canela, garlic, salt and pepper. I marinated the neck bones in this combination for about 6 hours to make sure the the flavor permeates. I then placed the bones in a stock pot with the sauce and extra water and set it to a slow simmer for about 3-4 hours. 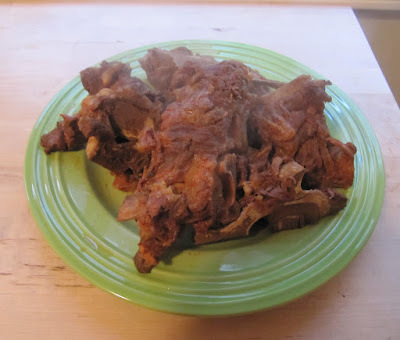 I wanted to make sure to extract as much of the flavor from the bones as possible as well as assure that the meat is tender and falls off the bone. Once the bones were done cooking I separated all the meat and set it aside. I placed the bones back in the broth and let it come to a boil for bit longer just to let the flavors concentrate even further. I removed the bones one last time and added back in the meat. I also added some diced potatoes and let it simmer together until the potatoes were cooked. To serve I garnished the birria with thinly slice onion, cilantro and a couple of good squirts of lime. 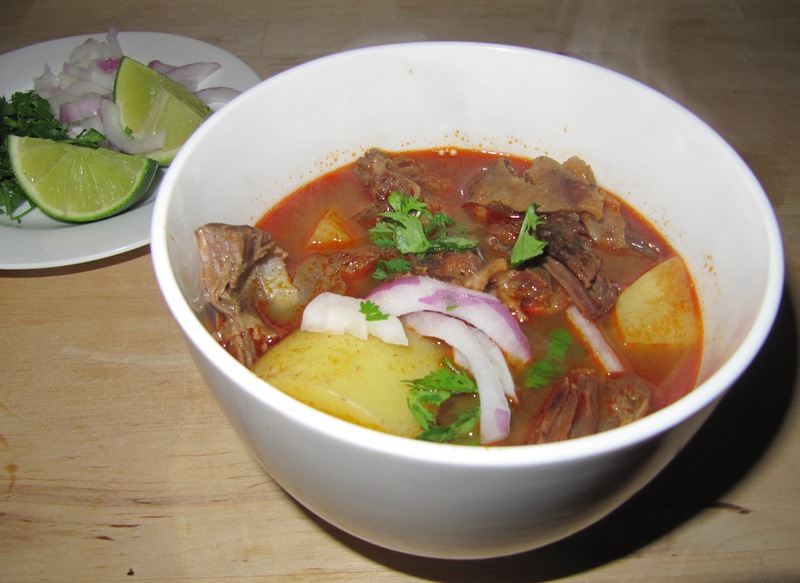 This is typically eaten with a tortilla on the side, the starchiness helps to counteract the richness of the broth. As typical with any birria-making process there is always tons of broth left. This is best served the following morning in a coffee mug with some cilantro, diced onion and lime, sip away!